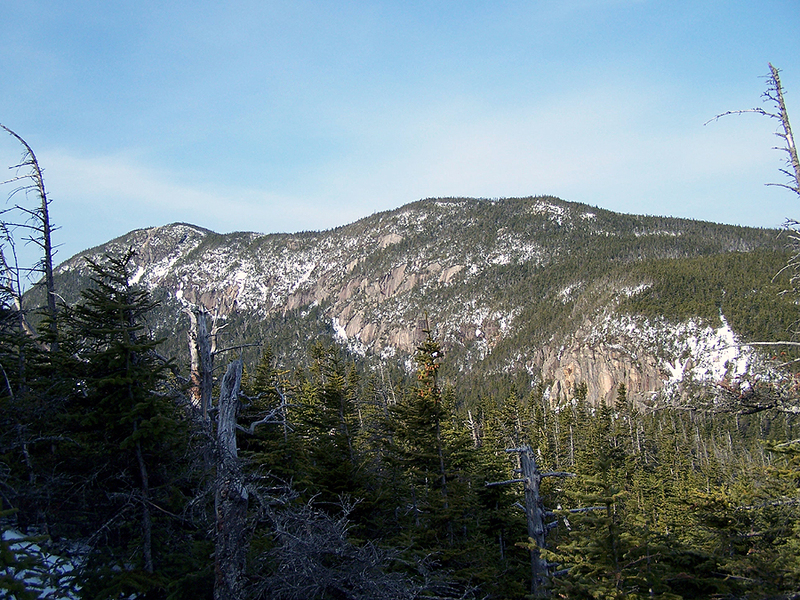 Mount Osceola's Summit is a partially open summit ledge with decent views. The summit is located on the Mount Osceola Trail which can be accessed from Tripoli Road or from Route 112 (The Kancamagus Highway) from the Greeley Ponds Trail. On the summit there are old foundations left behind from and old fire tower taken downs several years ago. -Mount Osceola Trail: 3.2 miles, elevation gain of 2,050 feet from Tripoli Road. 4.0 miles, elevation gain of 2,850 feet from the Greeley Ponds Trailhead. The Mount Osceola Trail is the only trail that goes up and over the the 4,000 foot summits of Mount Osceola and Mount Osceola East Peak. The trail has moderate grades and decent footing from Tripoli Road over the two mountains with a fun chimney scramble between the two peaks. The trail between the east peak to the Greeley Ponds Trail has ok to awful footing with very steep grades at times. There are limited views along the trail as it's all in the woods but there are pretty good views from Mount Osceola's summit where a fire tower once stood years ago. Tripoli Road is closed in the winter and early spring so the trailhead has to be hiked in from the Livermore Trailhead.